Wooden iPad 3 or iPad 4 case of 100% real cherry wood. 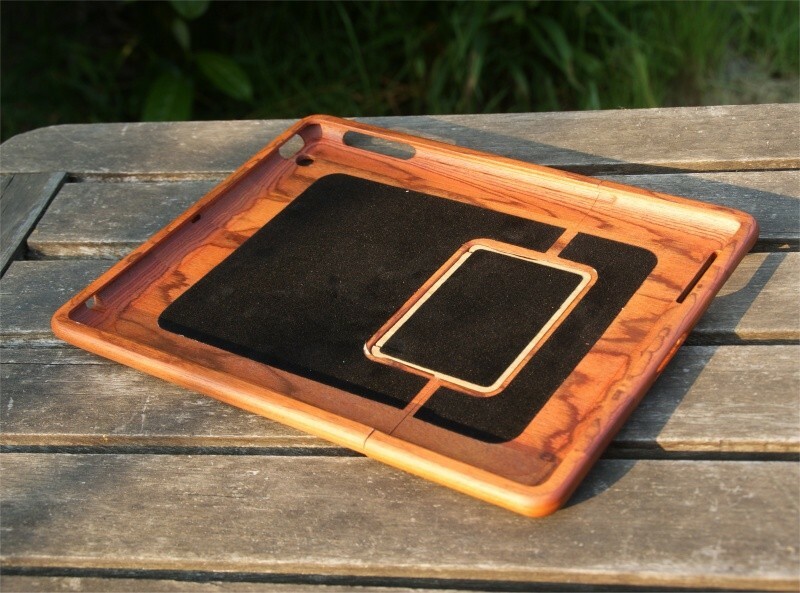 Fits perfectly around your iPad, where all the buttons remain accessible. 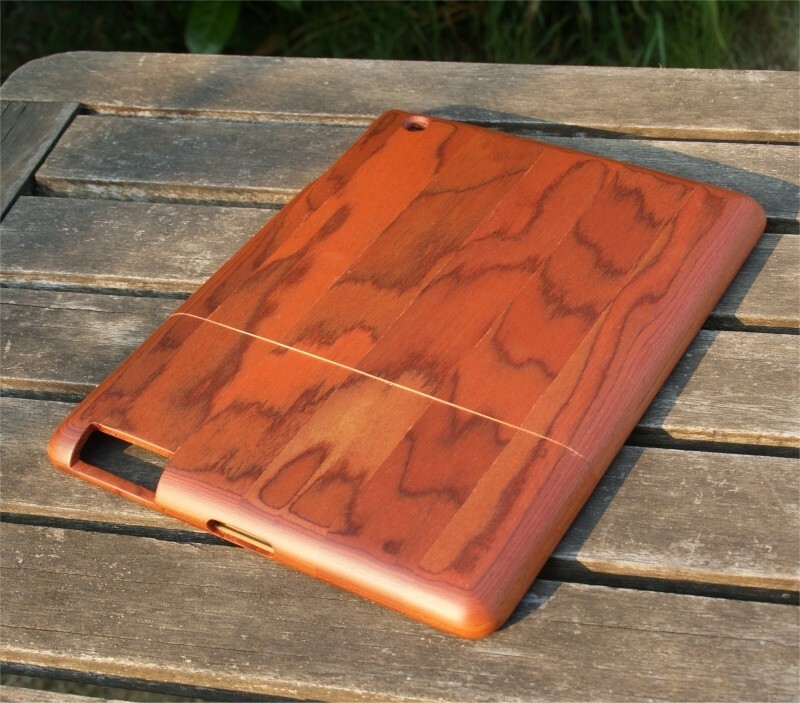 Beautiful wooden iPad 3 or iPad 4 case of 100% real cherry wood. 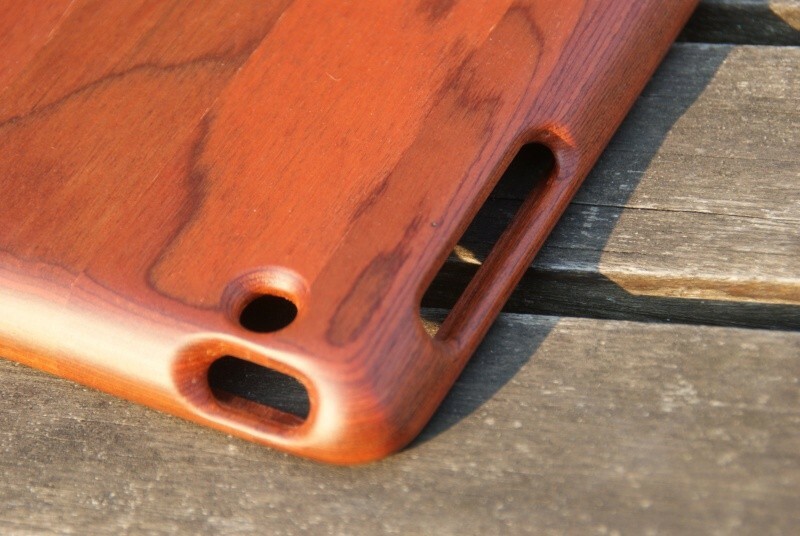 The case is very strong and lightweighted. 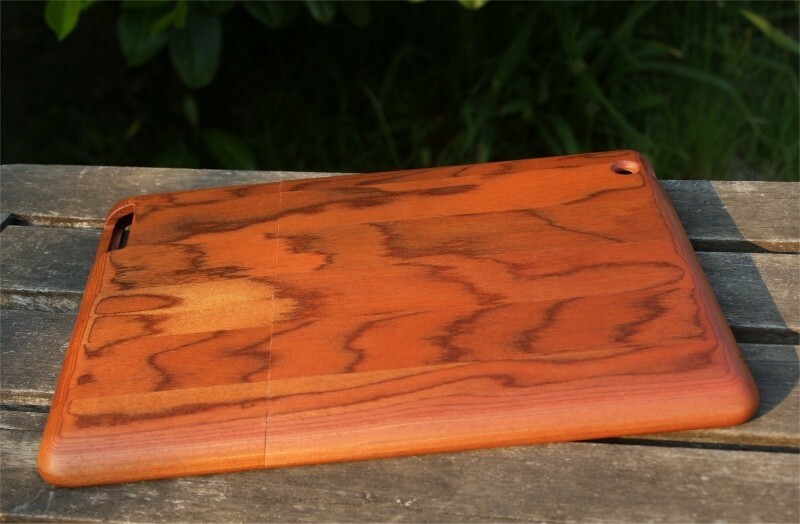 All functions of the iPad, like the dock connector, volume buttons and the camera are easily accessible, without having to remove the case. Applying of the cover is very easy, because it exists of 2 parts. 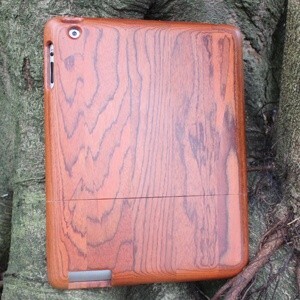 You don't have to be affraid to damage your iPad, because the inside of the case is protected by soft felt.